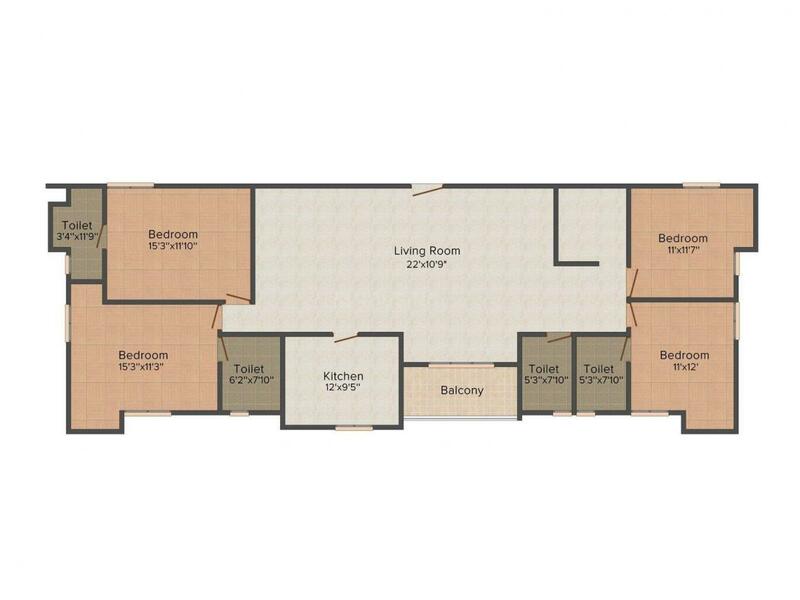 2124.00 sqft. - 2331.00 sqft. GreenTech City - Duplex Natura is a plush residency that incorporates internationally styled Duplex Homes and Golf Villas in the heart of nature. Enjoy the luxury of a beautifully planned Golf Grove Villas, Boat Homes & Duplex which has all the amenities you require for an enriched lifestyle. Every unit has a private lawn, flanked by a mini garden which slopes down a canal, which meanders through the property. As the owner of a residence at Greentech City - Duplex Natura you will have access to all the world class facilities of the neighboring Best Western Premier Vedic Village Spa and Resort. 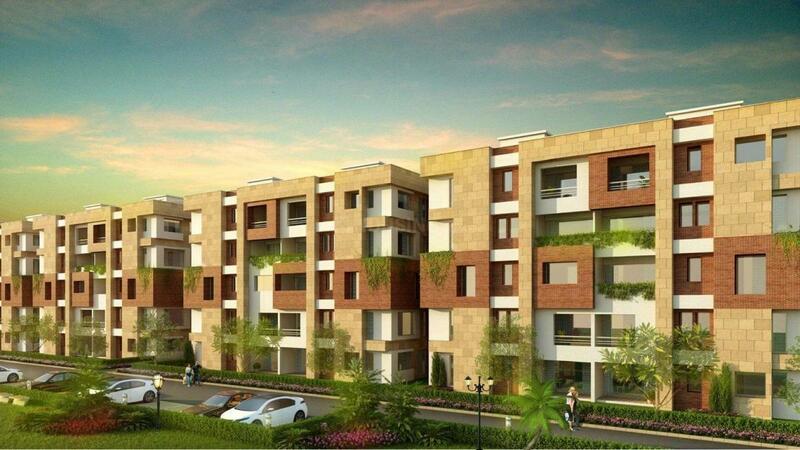 Experience a world of wholeness at Greentech City - Duplex Natura along with your precious family. 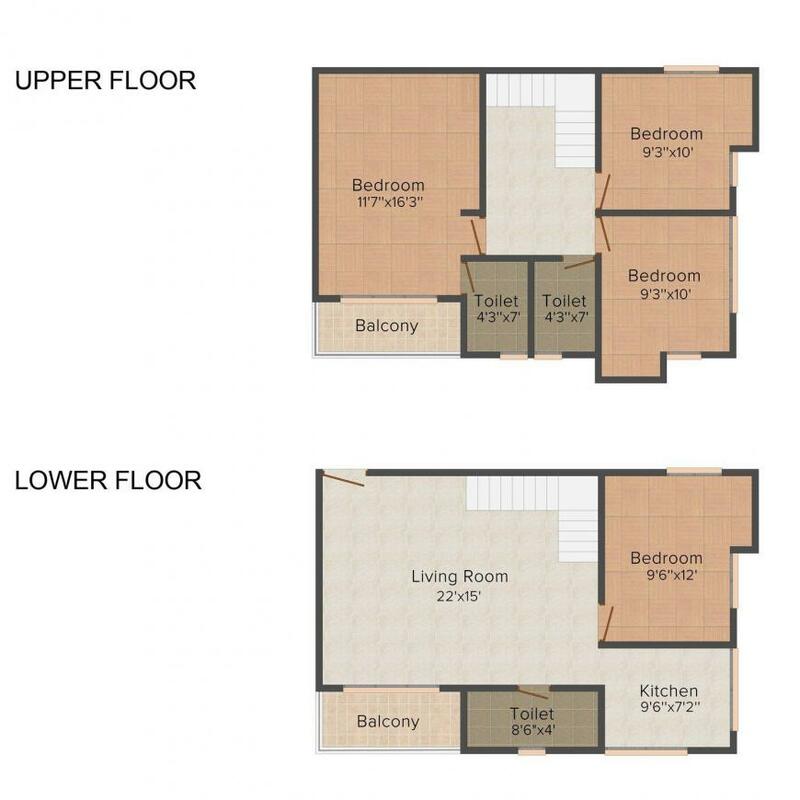 Carpet Area : 1789.00 sqft. The Rajarhat area is one of the India's fastest-growing planned new cities. Located in North 24 Parganas district of the Indian state of West Bengal, it bears close proximity to the capital city of Kolkata and Netaji Subhas Chandra Bose International Airport. The cityscape of Rajarhat is modernistic and futuristic with high rise apartments and sprawling IT Parks. With many IT majors like TCS, Infosys, Wipro, IBM, Genpact, Capgemini, Tech Mahindra Ericsson, Accenture, Phillips, HCL Technologies, having set-up their development centers here, it is known for the Information Technology centers of India. The place is well connected to its adjoining areas via VIP Road and Rajarhat Road. VIP Road, (officially Kazi Nazrul Islam Sarani), is a major thoroughfare that connects the New Town with the Netaji Subhas Chandra Bose International Airport and Rajarhat Road is the arterial road that connects all the important places with the locality. Also, the New Town will get a second vital road that will connect Kolkata airport with Basanti Road, passing through the Central Business District (CBD) and IT hub of New Town. To boost the connectivity, the Housing and Infrastructure Development Corporation (HIDCO) has cleared the proposed metro alignment from Salt Lake to airport via Rajarhat. This crisscrossing metro will drastically improve connectivity in the city and immensely help passengers by enabling them commute in several directions. They could head for Howrah taking the East-West Metro or to New Garia by the proposed metro. Indiabulls is one of the country's leading business houses with interests in Power, Financial Services, real estate and Infrastructure. 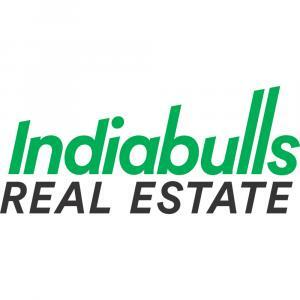 Indiabulls, as a front runner, is engaged in the business of marketing and selling various real estate projects on a pan India basis. Whether it is buying a home or investing hard earned money in residential properties, they always endeavor to meet the needs and desire of people and aspire to maximize client's satisfaction by providing up-to-date information on properties which is supplemented by highly skilled and experienced staff, ensuring highest standards of quality. Thorough and vigorous processes combined with hard work have helped Indiabulls to achieve the best for their customers and have proved their success.